I have lots of really fond memories from when I was little of my mum saying Ooops-A-Daisy to me when ever I fell over. I’m not really sure where the saying comes from or even if it is a world wide saying or something that is just said in the UK. But I do know it is a very comforting set of words that instantly brings a smile to my face. For this reason I found my self heading straight for the Ups-A-Daisy bath bomb when I was first greeted with this years Mother’s Day range. 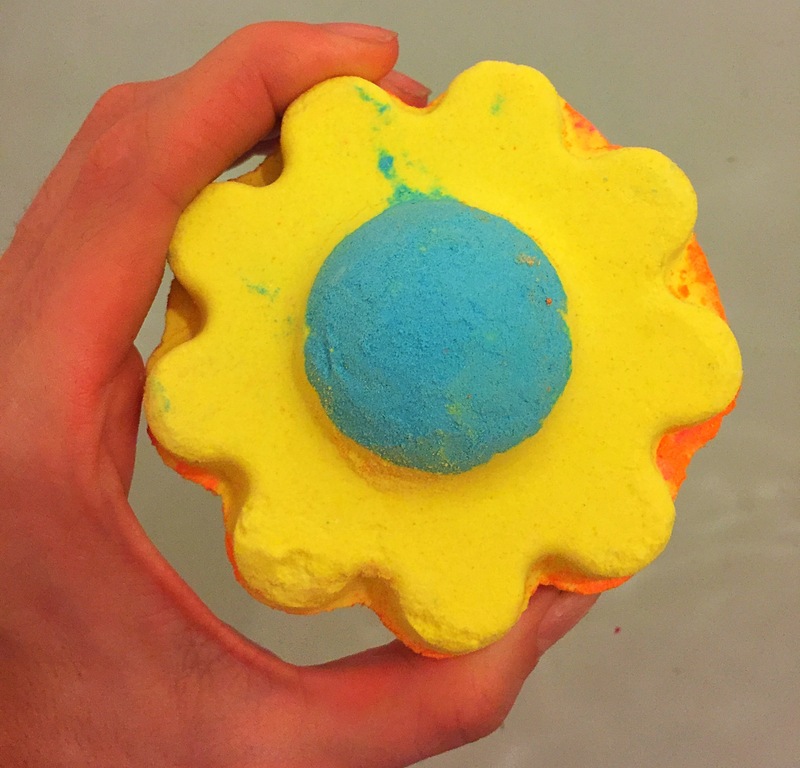 The Ups-A-Daisy bath bomb is a very brightly coloured product. In the shape of a large daisy one side is coloured yellow with a blue centre and the other side is coloured orange with a pink centre. Making it a lovely uplifting and cheerful product. The scent of this bath bomb is as comforting as I find the name. It is a very grounded and cheerful scent. Containing Rosewood Oil and Rose Absolute this bath bomb has a lovely delicate fresh floral scent. 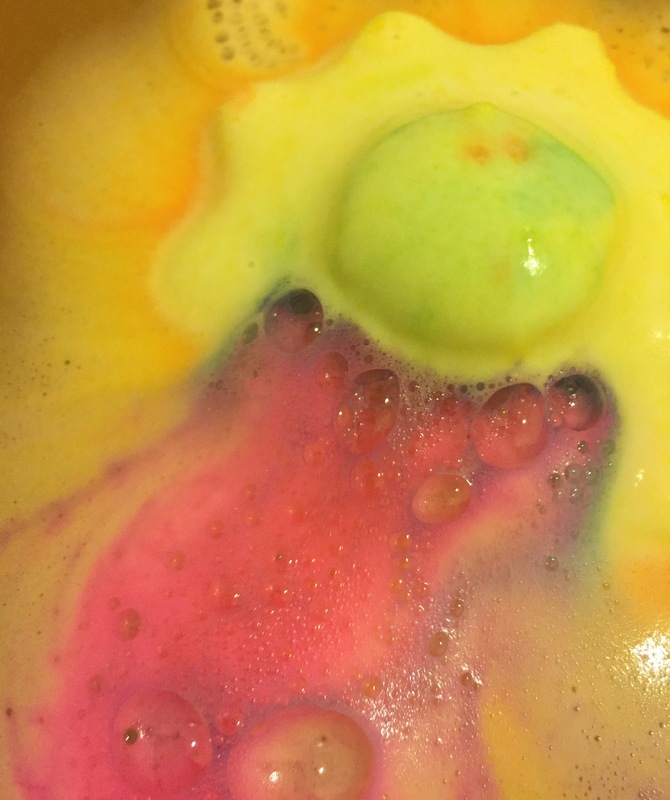 I found the aroma to not be overpowering as some floral scents can be however the scent was still strong enough to last the the entire bath. Once popped in the water the Ups-A-Daisy bath bomb is a very slow fizzer. As it slowly dissolves it creates a mountain of bright coloured foam which swirls across the surface of the water to create beautiful rainbow coloured display. 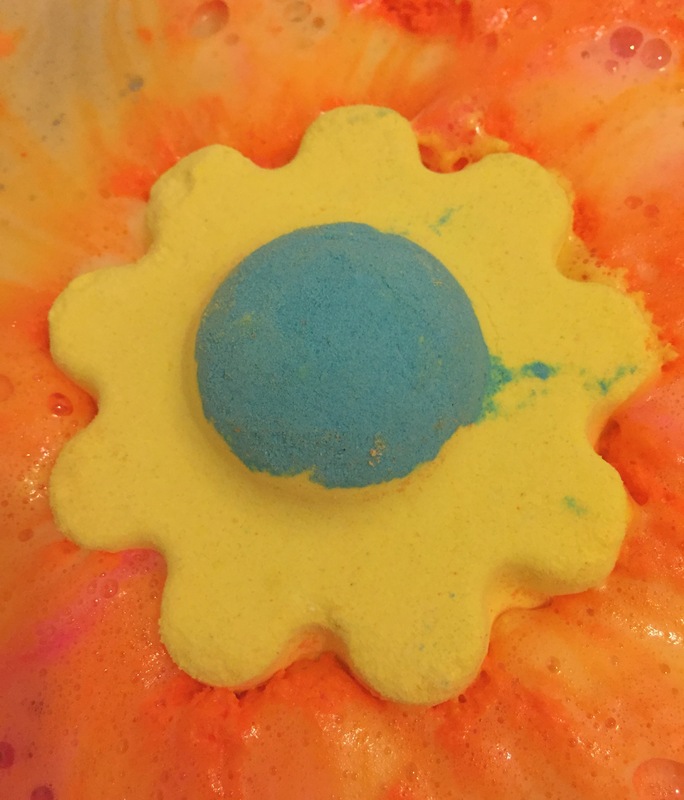 Once the centre of the bath bomb is reached a very fast fizzing blue and pink colour is released adding to the already colourful display. Overall I really enjoyed this bath bomb. 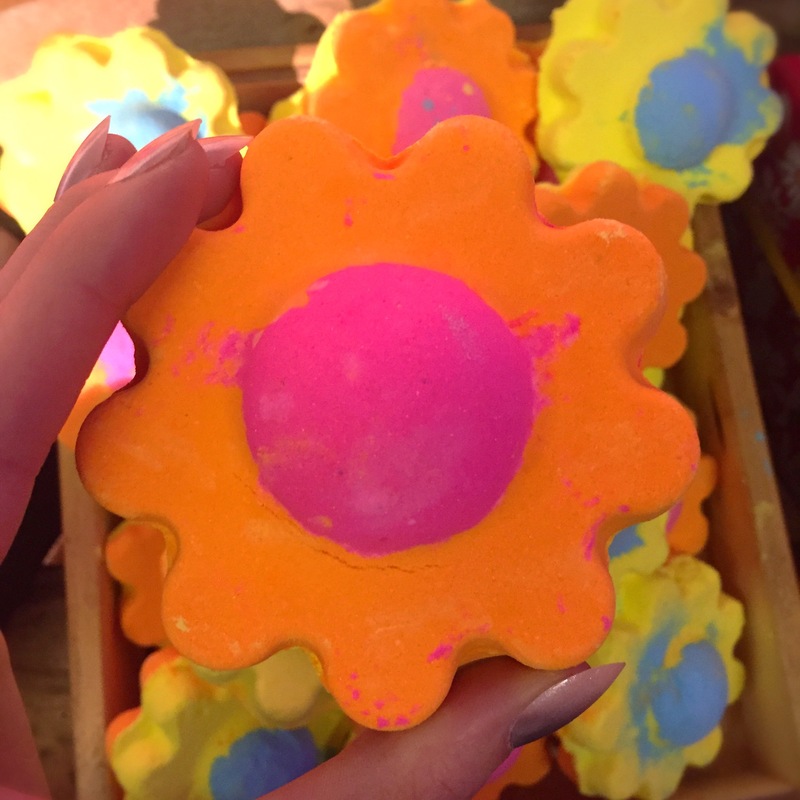 floral scents are not really my favourite but I actual loved the scent of the Up-A-Daisy bath bomb. I loved how colourful this product is and found it very uplifting and comforting. 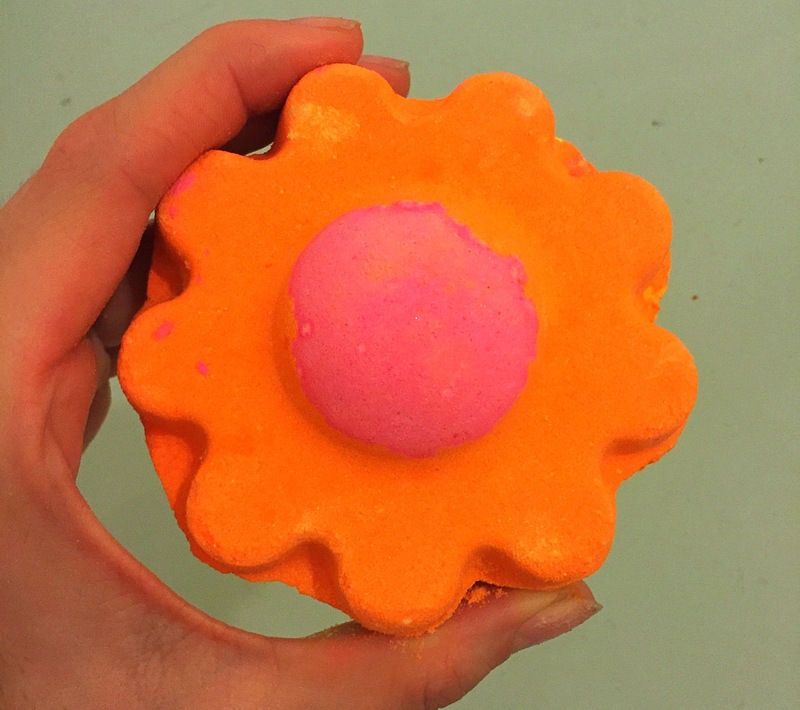 Have you tried any of the Lush Mothers Day range yet?